In a stunning turn of events last Friday, a potential intruder on Stanford’s campus was utterly foiled by the heroic appearance of a door alarm. The unidentified trespasser, who has been described as a person of indeterminate gender and race between the ages of zero and sixty-nine, was seen attempting to access Wilbur Hall’s Trancos dorm at approximately 10:43am. 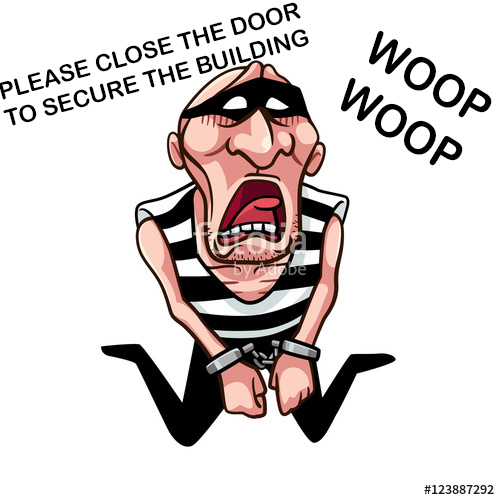 As the door was being held open for the suspect, the automatic door alarm installed in many campus doors suddenly went off, majestically proclaiming “WOO WOO WOO WOO” and “PLEASE CLOSE THE DOOR TO SECURE THE BUILDING. CLOSE THE DOOR NOW”, followed by “WOO WOO WOO WOO”, and concluded by a final “WOO WOO WOO WOO”. The mysterious individual—alarmed and intimidated by the might of Stanford’s security—scampered off. Police rushed to the scene, as is standard procedure for any door alarms, but alas! were unable to apprehend the intruder. Nonetheless, students, faculty, and employees across campus collectively applauded the efficacy of the security systems that populate Stanford. At press time, the door alarm was being considered for various awards and decorations, including the United States Medal of Honor—in recognition of its superb act of valor. Officials of the People’s Republic of China are also petitioning to be able to award the door the Chinese Order of the Heroic Exemplar due to claims that the alarm would be eligible as certain parts of it were manufactured by the PRC. Whatever happens, we at Stanford are comforted by the knowledge that our door alarms will keep us safe, secure, and snuggly.